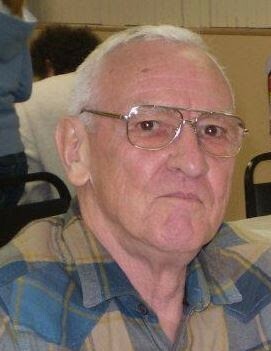 Alan F. Austin, 75, of Verona, passed away Wednesday evening at his home. Born in Oneida, New York, Alan retired from Oneida Limited Factory as a factory worker and loved to drink coffee and work on cars at Lee's Texaco. He was a veteran of the US Air Force. He was predeceased by his siblings, Irene Minniger and Lawrence Austin. He is survived by his loving wife of 50 years, Jennette (Russell) Austin; two daughters, Claudine (Dale) Campbell and Jennifer (Steve) Hollingshead; his siblings, Marilyn Romano, William (Kathy) Austin, Gerald Austin, Mark Austin, Jonny Austin, Richard Austin, Debra (Dale) Kline and Pamela Austin; four grandchildren, Breanna, Shannon, Meagan and Brendan Campbell; brother and sister- in-laws, Wayne (Jean) Russell, Winston (Suzette) Hayward, Maveret (Craig) Umstead, and Henri Sterle and several nieces, nephews and cousins. Funeral Services will be conducted on Monday 10 a.m. at Coolican-McSweeney Funeral Home with Pastor Neil Coe officiating, Burial will follow in Vernon Center Cemetery. Calling Hours will be held on Sunday from 1 p.m. to 4 p.m. at the funeral home, 322 Washington Ave, Oneida. In lieu of flowers, please consider donating to the Cystic Fibrosis Foundation Central New Yorkc Chapter, 200 Gateway Park Dr, Suite 3, Syracuse, New York 13212.